The agreement expected to take effect before the original deadline of 2020. 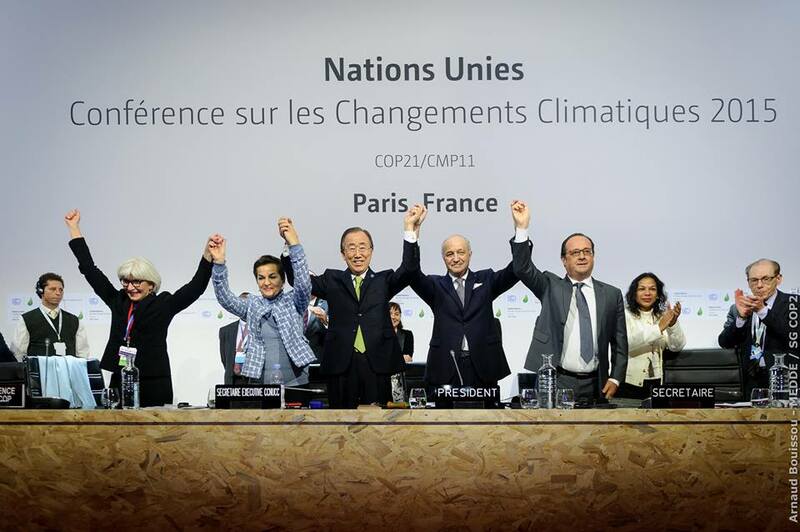 UN – Representatives of 171 nations began on yesterday to sign the Paris Agreement on climate change to take effect years in advance. US Secretary of State John Kerry, with his granddaughter in her arms, dozens of world leaders joined for the signing ceremony. It is the first time that so many countries signed an agreement on the first available date. Countries that do not sign on Friday have one year to do so. Many expect the agreement will take effect before the original deadline of 2020. Some say it could happen this year. After signing, nations must formally approve the agreement through their national procedures. The UN said that fifteen countries, several of them small island nations threatened by rising water levels, will do the same Friday depositing their instruments of ratification. China, which leads the world in carbon emissions, said “perform internal procedures” to ratify the agreement before the G20 summit to be held in China in September. US says it will ratify this year. The world watches anxiously. According to analysts, if Washington ratifies it before the end of the term of President Barack Obama in January, it will be more difficult for his successor denounce the agreement, because they will have to wait four years under the agreed rules. The agreement will enter into force after 55 countries representing at least 55 percent of emissions, have ratified it. United States and China, which account for almost 40 percent of emissions in the world, have said they intend to join the agreement this year. Maroš Šefčovič, energy director of another major pollutant, the European Union of 28 members, told reporters Thursday that the EU wants to be in the “first wave” of ratifying countries. Among the countries that have not said whether they will ratify the agreement include some of the largest oil producers in the world, such as The Gulf, Iraq, Nigeria and Kazakhstan, the World Resources Institute reported on Thursday. The Paris Agreement, in response to rising temperatures, rising sea levels and other consequences of climate change was a dramatic breakthrough in climate negotiations at the UN, bogged down for years because of disputes between rich and poor countries. Each country sets its own targets for reducing emissions of carbon dioxide and other greenhouse gases. The goals are not binding, but countries must provide update every five years.